With the birds chirping in the morning light, the flowers in full bloom, and the days longer and lighter, its safe to say Spring is finally here. It may come as no surprise that Spring is universally known as a time for birth, but not only for flowers and animals. It can also be a perfect time for creative pursuits. From our love of interiors to our colourful packaging, it's safe to we feel pretty creative here at Devonshire Tea. This month we decided to put all our creative juices to use in the kitchen and have created the perfect afternoon treat for this season. 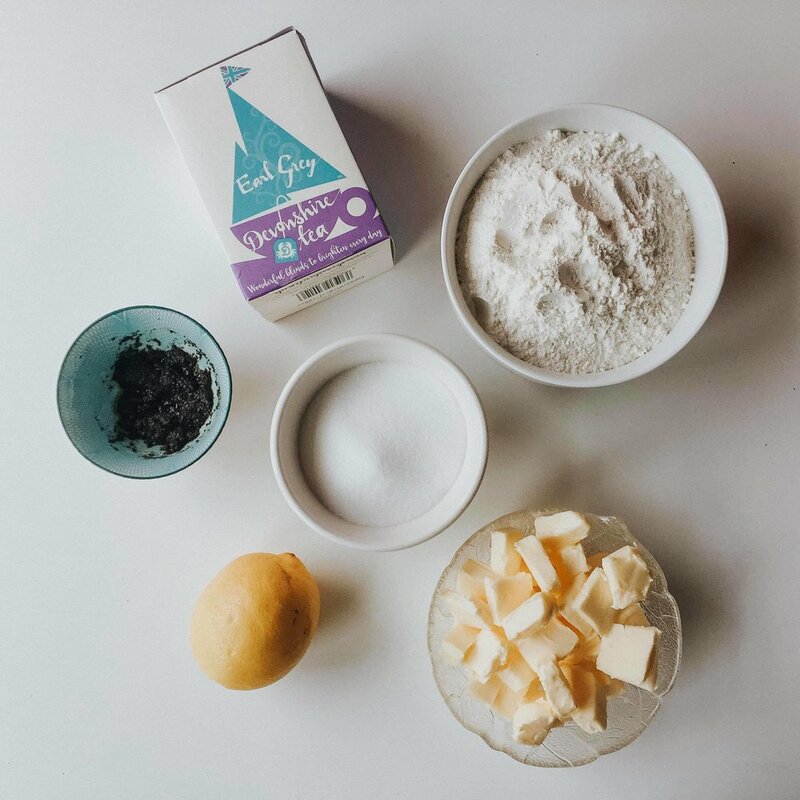 Our very own Lemon & Earl Grey Shortbread is the perfect go-to afternoon treat: an ideal snack for those tea gatherings, or even as an alternative lunch bag snack. Tea from 3x Devonshire Tea Earl Grey teabags – For the fullest flavour cut open each tea bag, add a dash of hot water to the tea, and leave to infuse the night before. 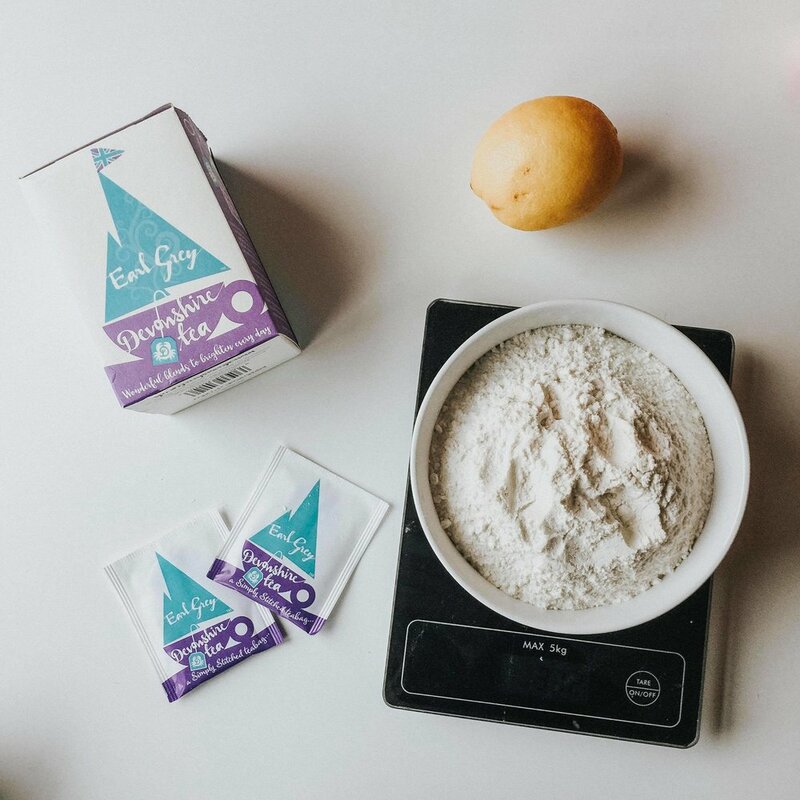 Put the flour, sugar, and tea into a large bowl and mix until the tea is evenly distributed, and the mix is not lumpy. Add the butter and rub together with your hands; the mixture should start to develop a breadcrumb-like texture. Add the lemon juice and continue rubbing the butter in. At this point, you should be able to bring the mixture together in your hands to form a crumbly dough. Place the dough in the fridge to cool for 5 minutes. 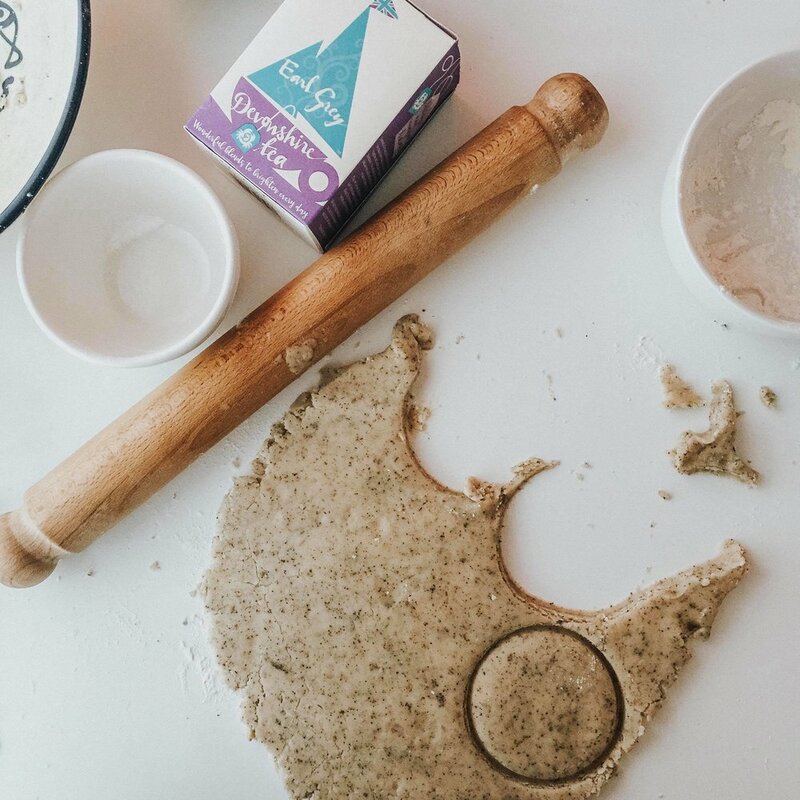 After the dough has chilled slightly, slice it into discs we suggest around 1cm thick. Place onto a baking tray and bake in the oven for 10-12 mins. If slightly thicker, cook for 16 mins. Once baked allow to sit for 5 mins to cool completely. We love these shortbread biscuits. 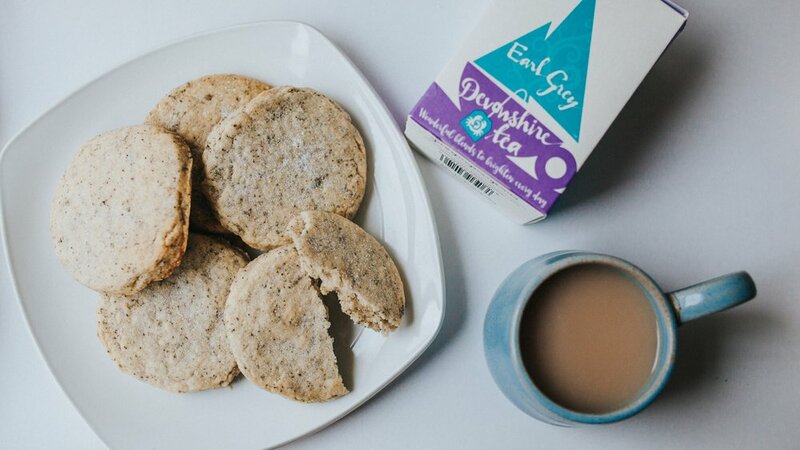 They are light, full of tea-infused flavour, and are perfectly paired with a cup of Devonshire Tea! Shop our tea collection, including our Earl Grey, here.